This is important to know! When having your car repaired after an accident, it’s important to know who is working for you. At Kless Boys our customer is you, not the insurance company. It is our job to look out for your best interest, not the insurance companies bottom line. Who do you think the insurance company’s “preferred” shop is working for? 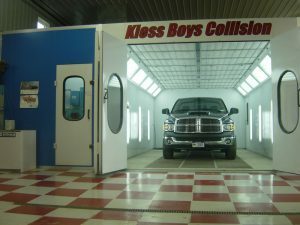 Our Collision Center uses the most advanced frame repair techniques in the industry. 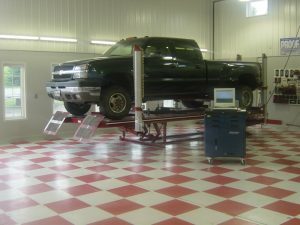 Our computerized frame measuring equipment uses laser technology to give us the most accurate measurements of your vehicle and returns your frame to manufacturer’s specifications. 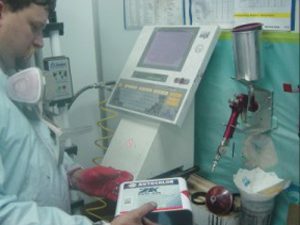 All of our paint is mixed on site with the accuracy of a computerized mixing system. 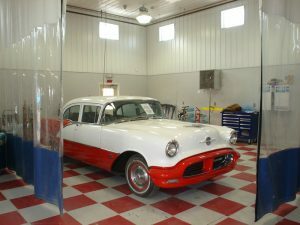 Our full downdraft baking paint booth provides a clean well lit area to refinish your vehicle. Like most paints, you get what you pay for. We use some of premium paint lines available today. 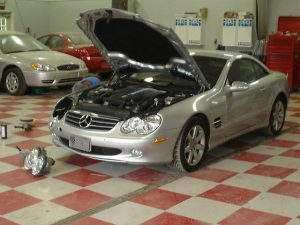 It may cost us in our bottom line, but it won’t cost you in your cars shine!